Let’s play a minimalism game (for the 4th time)! 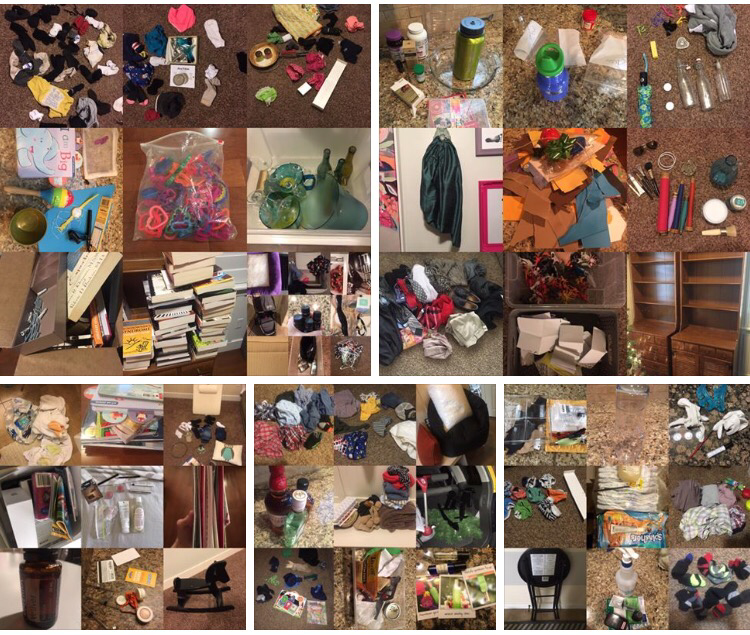 We are playing “the minimalists” “minsgame” for the 4th time this month. 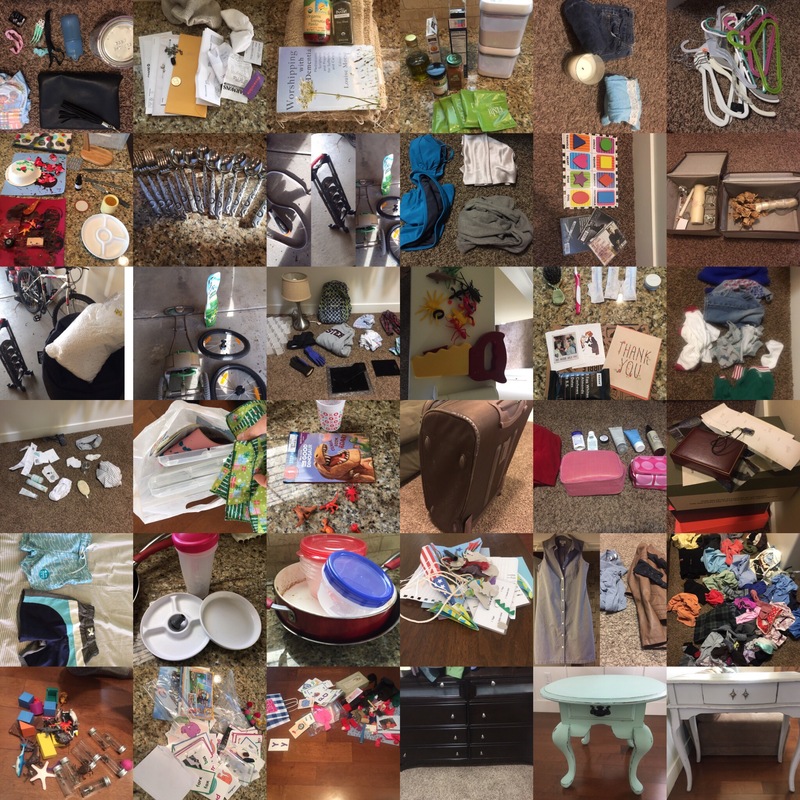 Our family has been minimizing our possessions for about 3 years now (we didn’t always document what we donated, trashed or sold – this same amount or more has been given away in addition to what you see in the photos). 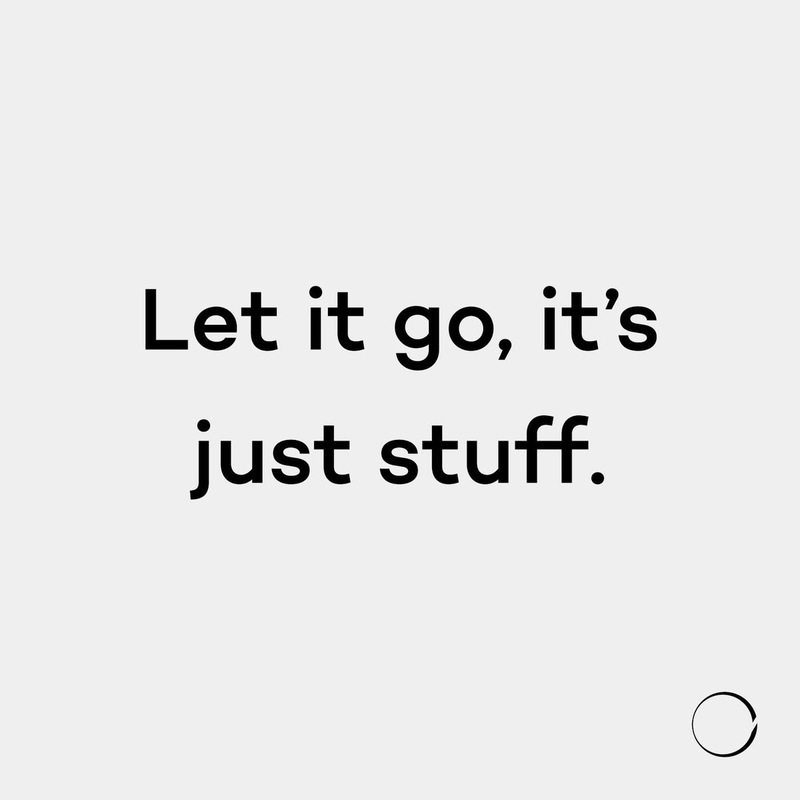 What’s shocking is anything that’s given away NOW has remained thus far; which just goes to show that we still have things that we do not find value in that others may, which is why we are playing another round! Connor has been our biggest inspiration on this journey. We did not practice minimalism when he was born or during infancy (although we know it would have made our postpartum time more peaceful)! We started donating items when he was around 1 but we got really serious about it when he was 3, which we felt was a crucial time in his development. Kids repeatedly ask for things, or to go shopping at OUR favorite stores when they see us constantly consuming; that’s not something we want to teach him. 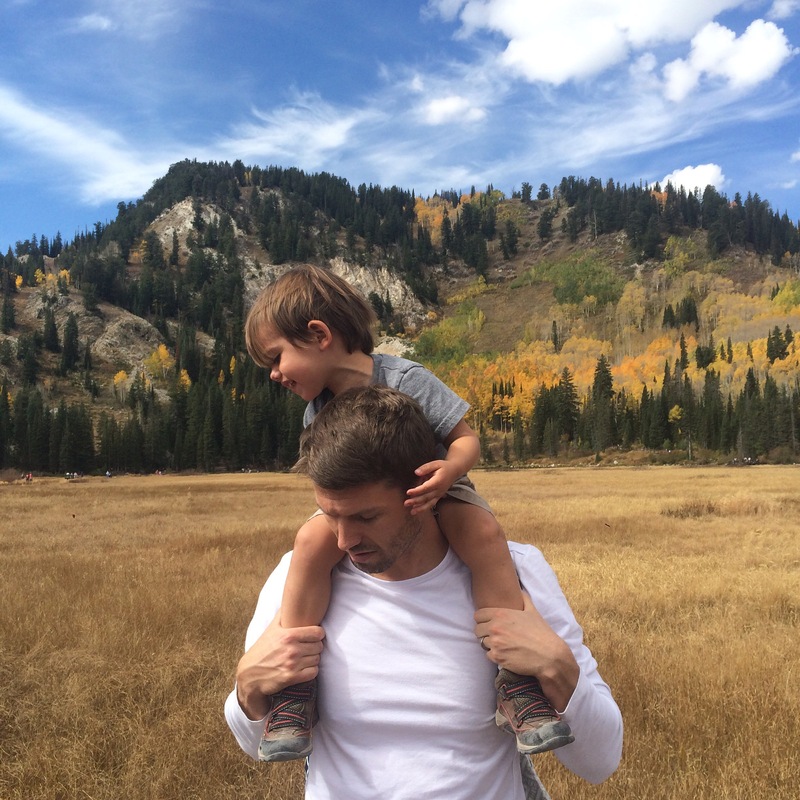 We are raising Connor to value time spent with loved ones, having experiences vs buying things and giving back as priorities. In our materialistic world, this starts with us leading by example. The boys doing what they do best – wake.explore.repeat (here at silver lake up big cottonwood canyon, Utah). When we began donating items, we simply explained why and he has given away many things as well. Once he gave his best friend his tricycle he was no longer using. He also tried to give him the jacket off his back which was very sweet but we had to explain how it was still adding value to his life by keeping him warm and dry! We follow a “one in/one out” rule with anything new that comes into our lives and into our home. Connor’s toys are open ended which allow for more imaginative play. Besides riding his bike and exploring outside (of course) he enjoys renting and reading new books from the library, building new Lego creations and playing with whatever he can find in the fenced backyard. 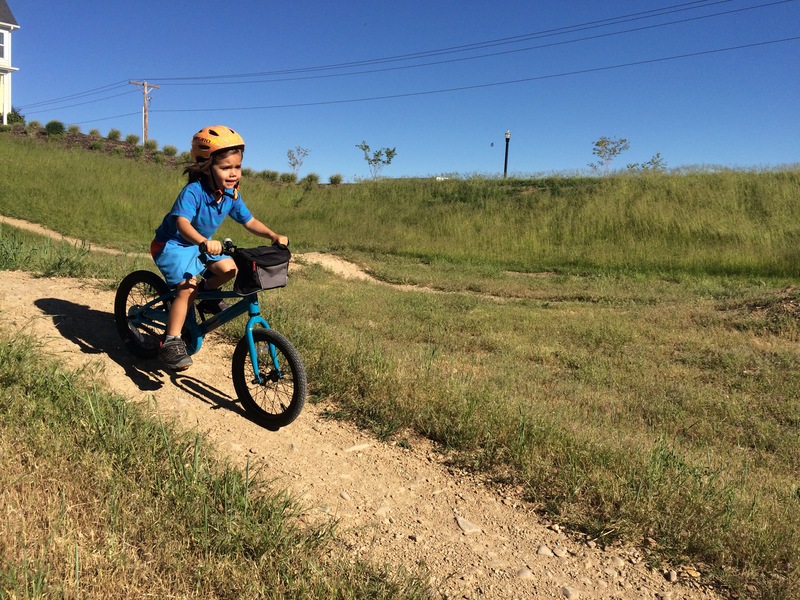 Connor has been riding a pedal bike without training wheels since before he turned 3 – he was just born to move! Through the simple process of getting rid of things we no longer use, we have been able to live with more intention in our day to day lives. We have more peace, more time to spend with Connor and less stress worrying over “things” that don’t matter at all. One year ago, Heather was able to return to volunteering in a hospice house for the homeless on days Jerry is home from work to stay with Connor. She will be able to increase her time volunteering as Connor spends more time in school. We involve Connor in giving back in simple ways now and look forward to involving him more as he grows. Living a more mindful, intentional and simple life continues to benefit us all. 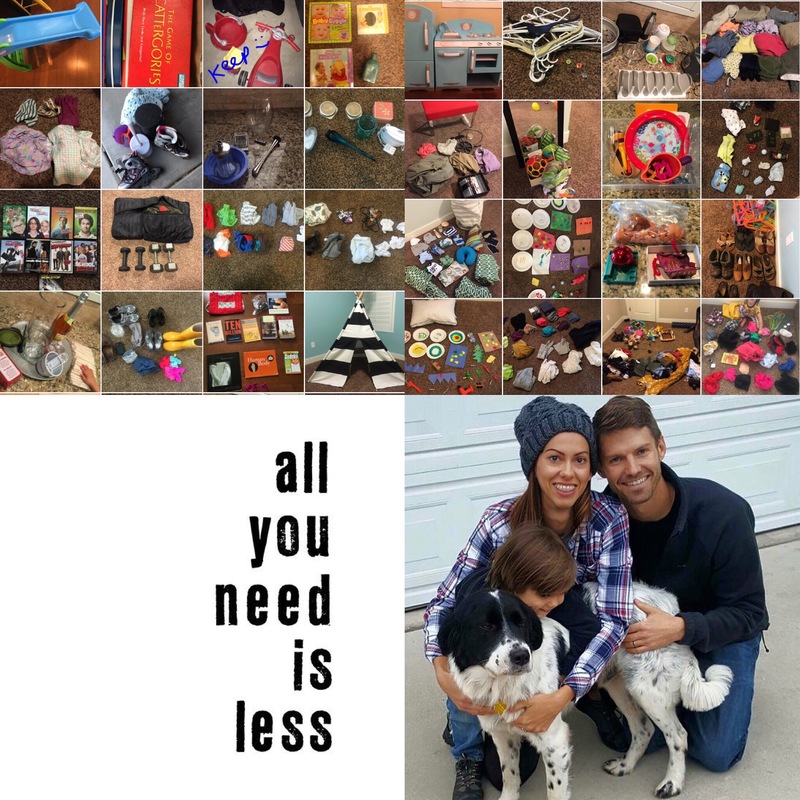 There has never been a moment when we’ve said “you know what, we want to go back to our old ways of aimlessly spending money that we didn’t actually have” or “boy, I sure do miss constantly picking up stuff all over the house all the time.” We shared our story here so that others who are interested in this lifestyle may find the same peace in living simply, too and in doing so, find more resources to do whatever you value most.